Modifications in the battery charging protocol of on-orbit GPS satellites are expected to substantially extend the mission life of the spacecraft — a particularly timely development as technical and financial difficulties have raised doubts about keeping the system’s next-generation Block III satellites on schedule for launch readiness. Since October 2012, U.S. Air Force Space Command’s (AFSC’s) Space and Missile Systems Center (SMC) at Los Angeles Air Force Base has been analyzing, characterizing, testing, and implementing modified battery charge control rates across the GPS IIR/IIR-M fleet. This fleet of 19 satellites comprises more than half of the Global Positioning System (GPS) constellation. 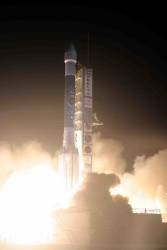 As of November 15, 2013, the USAF’s 2nd Space Operations Squadron (2SOPS) completed the modification, which will extend the life of these satellites’ operational capability, according to a GPS Directorate spokesperson. Batteries are projected to be the primary life-limiting component when GPS IIR/IIR-M vehicles are past their design life. Analysis by SMC, The Aerospace Corporation, and the GPS IIR/IIR-M’s manufacturer Lockheed Martin indicated that reducing the charge rates during solstice season would add an average of one to two years of life per space vehicle. In total, it is anticipated that the modification will add more than 27 years of cumulative life across the GPS IIR/IIR-M fleet. Congress has already cut the administration’s Fiscal Year 2014 (FY14) budget request for GPS III procurement and development was cut by $47 million and accumulating shortfalls in funding of civil GPS requirements are further complicating the system’s modernization. Technical difficulties involving the GPS III navigation payload being built by Exelis also appear likely to throw prime contractor Lockheed Martin behind the development and production schedule that it had maintained since receiving the $3.568 billion contract in 2008. AFSC commander Gen. William Shelton told a Washington, D.C., breakfast hosted on February 7 by the National Defense Industrial Association (NDIA) that the program would almost certainly miss the ready-to-launch date at the end of this year and its actual scheduled launch date at the end of fiscal year 2015. He added that, at this time, the delays do not appear likely to affect the overall capability of the GPS constellation, which has 31 operational satellites with several additional on-orbit spares and seven remaining GPS Block IIF satellites available from Boeing. In an exchange of questions and answers with Inside GNSS, the GPS Directorate spokesperson provided additional details on how and why the battery-charging procedures were carried out. Inside GNSS: Why does reducing the charge rates during the solstice season extend battery life? GPS Directorate: The battery charge rates and durations determine battery state of charge and extent of battery overcharge. At high battery states of charge, such as near full charge, charging energy primarily goes into overcharge, as opposed to increasing the state of charge. Extensive overcharge degrades battery life, particularly for the long charge durations in solstice or full sun periods. An optimal charge rate is a delicate balance between ensuring a fully charged battery and maximizing battery life by minimizing overcharge. 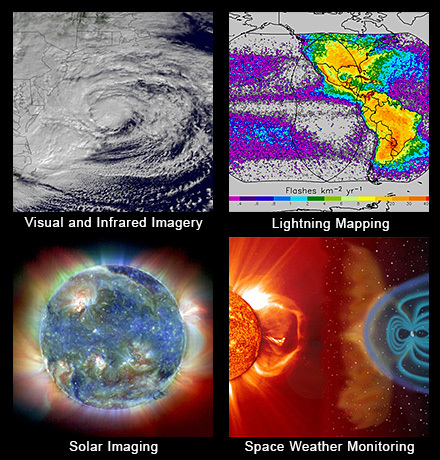 Inside GNSS: Does this apply to both summer and winter solstices? GPS Directorate: Yes. However, a satellite’s solstice seasons may or may not correspond to Earth solstice seasons. Solstice, or full sun, seasons for a GPS satellite occur twice a year, and the timing of the solstice is orbit dependent. When a satellite’s orbit corresponds to the Earth’s summer and winter solstice, it applies to both summer and winter solstice. Inside GNSS: For purposes of this operational change, how long does the solstice season last? GPS Directorate: The solstice season duration depends on the particular orbit of the GPS satellite, but it is usually four to five months out of six months. Inside GNSS: What is the traditional or existing practice and schedule for battery charging? GPS Directorate: The original design practice used a fixed, constant charging rate to maintain fully charged batteries. The change will optimize the charging rate by providing several charging levels or rates including consideration of battery temperature. The rate will now be selected to maintain full charge and minimize battery degradation from overcharge. Inside GNSS: How many of the IIR/IIR-M space vehicles (SVs) are past their design life? GPS Directorate: At present, 13 of 19 GPS IIR/IIR-M space vehicles have exceeded their 7.5-year design life with an average age of 10 years. The oldest has doubled its design life, and their continued precision serves as the backbone of GPS stellar performance. The credit for this impressive performance belongs to the remarkable engineering, fabrication and parts quality. Inside GNSS: How was the change implemented technically and operationally? 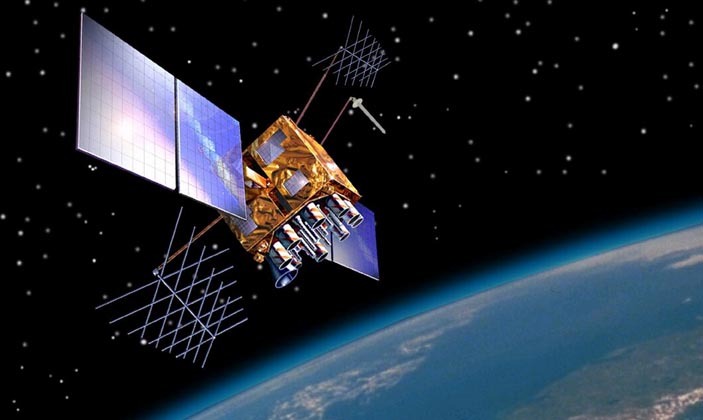 GPS Directorate: The change was implemented on GPS IIR/IIR-M SVs through on-orbit software techniques and ground commands to the vehicles. Starting with an upload to one vehicle, the results were monitored by analyzing vehicle telemetry to ensure no adverse effects. The upload was then sent incrementally to the remaining vehicles until implemented on all 19 SVs. Inside GNSS: Has the change already been implemented on all IIR/IIM SVs or does this only occur as the satellites reach the end of their design life? GPS Directorate: Yes, the implementation on the GPS IIR/IIR-M fleet is complete and not dependent on design life. Telemetry continues to be monitored and analyzed to characterize the effects of this optimized battery charging procedure. The GPS IIR/IIR-M batteries were once considered the number one limit of operation life for these satellites, but now the batteries may out-live other spacecraft components. 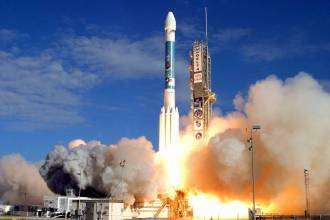 Inside GNSS: Would this change benefit IIF and/or GPS III generation satellites? If not, why not? GPS Directorate: The general principal of selecting battery charge rates to minimize battery degradation from overcharge, while maintaining fully charged batteries, certainly applies to GPS IIF and GPS III. The power system architectures for both GPS IIF and GPS III were designed with variable, selectable charge rates and levels, and thus do not require further modification to the battery charging algorithm. SMC GPS directorate and 2SOPS will closely monitor the real-world results of this project to ensure they are in line with the expected gains.